Chances are if you’ve seen weeds, you’ve seen chickweed. There is not a country on this planet where chickweed does not exist, and where she grows, she grows in overwhelming abundance, so she is hard to miss. Many gardeners consider chickweed a nuisance. She is voracious, hard to get rid of, and will dominant any landscape she finds balanced and suitable for her growth. But one person’s nuisance is another one’s bounty, because to find a field of chickweed to find a treasure trove of an herb that has potent magical and medicinal qualities. 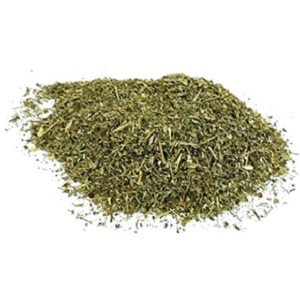 From a chickweed salve that can soothe burns and clear up skin disorders, to chickweed pesto recipe that can actually help with weight loss, it only takes a little resourcefulness and creativity to realize the power, magic and healing that lies within chickweed. It is said that chickweed grows nearby when one has need for it. The energy and magic that chickweed carries is said to help maintain and strengthen relationships, encourage fidelity among lovers, and attract love. Chickweed enjoyed much use in European folklore and magic for these very reasons, and it was tradition to carry a sprig of chickweed to catch a lover’s eye and encourage them to remain faithful and loyal. We’d like to share with you some of the wonderful magical energies that are hidden within this powerful and prevalent herb. Chickweed seeks soil that has balanced conditions. 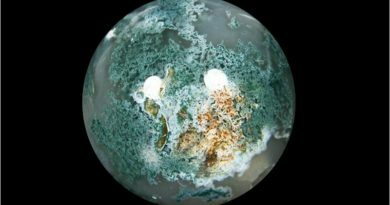 It does not like soil that is too acidic or too dry. However, if the conditions are right, chickweed can grow anywhere, from compost heaps to cracks in the sidewalk, as long as the conditions are balanced enough for it to thrive. Chickweed prefers to grow in groups and clusters, but even within these clusters each flower maintains its own individuality, and survives and thrives in balance with every other sprig of chickweed it shares its space with. Chickweed teaches us a valuable lesson when it comes to our relationships in that it teaches us how to live in balance with ourselves and those around us. Chickweed expresses the magic of balance within a group. Each sprig has it’s own individuality that it expresses, yet it still lives in union and harmony within the cluster where it grows. Chickweed is very difficult to get rid of. To completely remove it from an environment can require repeated tilling during dry weather, completely burying the herb, or plowing it under just as Winter arrives, and even then, there are no guarantees you will have rid yourself of her. In chickweed’s persistence and stubbornness you can see her express her enduring and persevering energy. Her seeds can remain fertile and germinate for up to 40 years, and even under the thickest blanket of snow, she can still survive and thrive. Only the harshest frost is enough to take her down. Chickweed has protective energies. 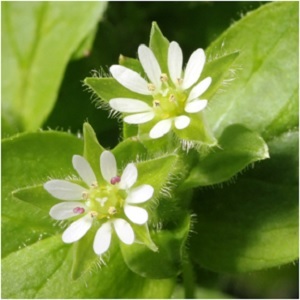 Characteristic of chickweed is a thin strip of fur that can only be found along one side of the stem. This strip of fur provide a modicum of protection for this very strong plant. Her white petals also express the protective energies laden within the plant. Chickweed is connected to Lunar energies. 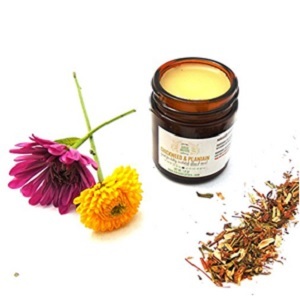 It is connected to women’s cycles and is even used as an herbal remedy for menstrual aches and pains. Chickweed's scientific name is stellaria media, which means "mid-sized star," due to its star-shaped petals. Chickweed is connected to animal energies, specifically birds. It gets its name from the fact that it is often feed to baby chickens. It’s seeds also rely on animals and birds to travel from place to place, and it is commonly fed to poultry and farm animals. Chickweed has magical associations with love. It is believed that carrying a sprig of chickweed can attract love. Putting a little chickweed in your partner’s dish can strengthen fidelity and help maintain a good marriage. As per European folklore, carrying a sprig of chickweed is said to help promote loyalty and faithfulness of a loved one. To attract love, consider mixing chickweed, roses, and orange blossoms to your bath water. Although chickweed is Native to Europe, its seeds have traveled far and wide to every corner of the planet. There is not a country on Earth you can go where chickweed cannot be found. Chickweed employs many modes of travel. The seeds are carried underfoot, by the wind, ants and animals to travel throughout the world with relative ease. Chickweed was also familiar amongst sailors, who would use chickweed vinegar to stave off scurvy when fresh citrus was not available. 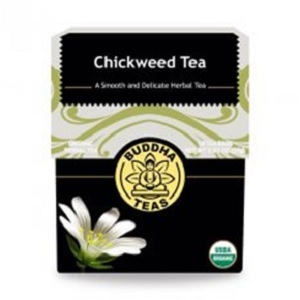 Chickweed has a copious amount of seeds, hence why it is often associated with fertility and abundance. A chickweed plant typically carries at minimum 10 seeds, although they have been known to carry up to an impressive 2,000 seeds! Chickweed growing in the garden attracts abundance to the home. Chickweed has an interesting connection to the energy of Luck. It is one of the seven herbs included in a symbolic porridge dish for a Japanese festival called Nanakusa-no-sekku. The Japanese use seven, different herbs in this symbolic dish, including shepard’s purse, nipplewort and radishes, and during preparation petition the energies of good fortune as they cut the nanakusa (seven grasses or herbs). Chickweed is a surprisingly potent medicinal herb. It has been used to heal inflammation, boost the metabolism, treat skin disorders and bruises, and poison ivy irritation and burns. What do You Think About Chickweed? Now that you've learned a little bit more about the Magic of Chickweed, how do you plan to use this amazing herb in your magical life? What are some ideas or questions you have about chickweed? What herb would you like to learn about next? Let us know in the Comment section below! Hunter, Candace. "Chickweed History, Folklore, Myth And Magic".The Practical Herbalist. N.p., 2017. Web. 8 May 2017. "Magickal Uses Of Chickweed".Herbal Riot. N.p., 2017. Web. 8 May 2017. "Magic Of Chickweed | The Druid's Garden".wordpress.com. N.p., 2017. Web. 8 May 2017. "Stellaria Media".wikipedia.org. N.p., 2017. Web. 8 May 2017.